"Hi....I am so confused as to which test to order. We have copper piping that has developed leaks due to tiny pin holes in the piping. Our PH is excellent but do not know what is causing the greenish color inside the pipes. Our plumber recommended we do a test on the water but since the water has normal acidity we do not know what to do now. Please help. Thanks so much. I am clueless and hoping you can point me in the right direction as to what we need to test for now!" Hello, Sue, and thank you for your inquiry. We suspect the greenish color you see comes from oxidation of the copper on its surface and the fact that you see it on the inside of the pipes indicates that your pipes most likely spent some time with air in them. Perhaps the leaks in the pipes allowed oxygen into the system or maybe the system spent some time in a drained condition? As for what caused the pinholes in the first place, pH would normally top the list as likely offender. Aside from that, you may want to take a look at alkalinity which affects the stability of the pH. If you have low alkalinity your water may have a great pH today and an absolutely horrible pH tomorrow. Also, how old is the plumbing in question? Perhaps just the age of the system has given it time to develop pinhole leaks? We currently carry a product called the WaterWorks pH & Alkalinity which performs a test for both pH and total alkalinity at the same time. 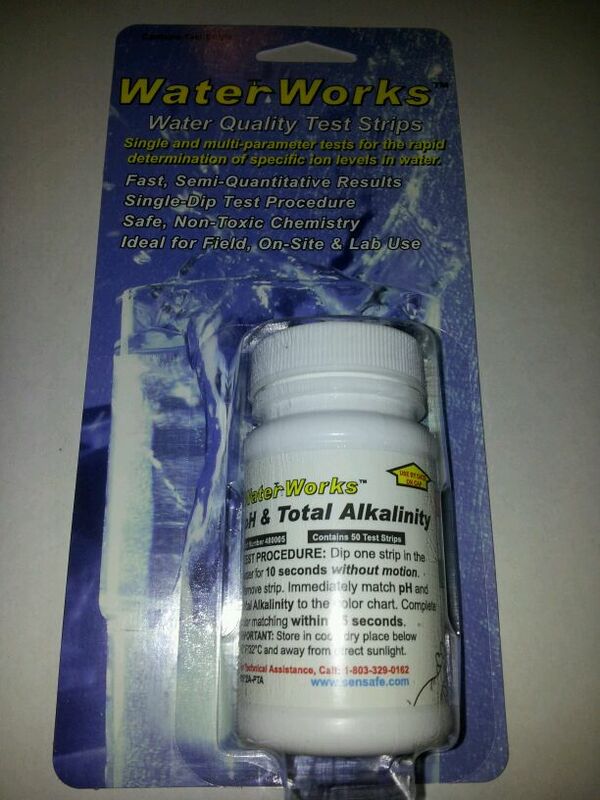 The WaterWorks pH & Total Alkalinity test strip utilizes a single test strip designed with two separate test pads: one for measuring pH and the other for measuring Total Alkalinity. The test procedure works well as an alternative to traditional wet chemical tests that sometimes require the use of potentially hazardous chemicals. Today's question came from 'Maximrya' who asked, "How accurate are these test strips as I read everywhere that they work for water and when people get them they end up not working. Do all pH test strips work for liquids?" Thank you for your inquiry and NO, not ALL pH test strips work in ALL liquids. More specific to the product that we carry, Extended Range pH Test Strips work very well for the most common drinking water, tap water well water applications. Many times people will attempt to test other liquids (i.e. human urine, juices, milk, etc.) using the product and not obtain usable results. That failure resulted from people trying to get a product to do something its creators did not intend for it to do. If you intend only to test regular water, then the Extended Range pH Test Strips product should work just fine. As in any chemical reaction (in this case the color change on the test pad area), the temperature of a sample affects how fast the chemical reaction takes place. We suggest allowing a sample to warm up or cool down to the recommended temperature range specified in the instructions of a water test kit. In our experience most home water testing products work best at ambient or room temperature while others may come with instructions for altering the dip or wait time depending upon the water sample's temperature. With all the debate over whether or not hydraulic fracturing (also called ‘fracking’) negatively impacts the environment, many homeowners with private wells who live in areas where fracking takes place find themselves lost in a sea of information (and misinformation!) when they attempt to seek out simple ways to determine whether or not potentially hazardous changes in the quality of their well water may or may not have occurred. By now pretty much everyone has seen the videos of people lighting their well water on fire and some of you may have even seen the video where a representative from a gas or oil drilling company took a drink from a glass that allegedly contained fluid used in hydraulic fracturing — to ‘prove’ that the stuff was harmless. One side says fracking destroys water sources and the other says it does little, if any, harm to the environment… so who should the homeowner believe? Regardless of WHAT industrial activity takes place in the area of a private water well, be it fracking, coal mining, gold mining, oil drilling, or maybe even commercial farming, the responsibility for monitoring the water coming out of a private well falls on the shoulders of the well owner. With that said, private water well owners need to watch the quality of their water and alert authorities when a noticeable change in water quality occurs — because rest assured the companies potentially responsible for changes in ground water quality will not say a word about potential problems until they get caught by the EPA or called out by the public. Opponents of hydraulic fracturing have called for gas and oil companies to release the list of chemicals involved in hydraulic fracturing for a number of years. Now of COURSE not one single company (that we know of) has made that sort of information public… which leaves many folks wondering how they will know if fracking fluid or other byproducts of the oil and gas drilling industry have crept into their well water. Drastic changes in the above water quality parameters may indicate that some sort of contamination of the well water source has occurred and that a well owner may want consider having a certified water testing laboratory perform a more thorough, complete analysis for contaminants not detectable using home water test kits. We recently read an article in the Wall Street Journal (online) that touched on a few points related to chlorinated swimming pool water and its effects on a person’s eyes during and after a dip in the pool. We all know that improperly balanced pool water can cause eye irritation due to a low/high pH, low/high alkalinity, and/or too high a chlorine count, but what about a properly balanced swimming pool? Does that water cause harm in any way? The human eye has a natural protective barrier over it that helps protect it from infection by bacteria, parasites, etc. Chlorinated water removes that thin layer temporarily. Swimming pools disinfected with chlorine may have the correct amount of chlorine in them to effectively ward off ‘bugs’, as the author called them, but that same chlorine loses some of its efficacy if the pH or alkalinity has drifted out of acceptable range. The amount of bacteria and other unwanted pool water contaminants introduced by a high bather load (aka: lots of people in the pool at one time) may temporarily overwhelm the chlorine concentration’s ability to neutralize threats to swimmers — especially their eyes whose protective tear layers have temporarily gotten washed away. Contact lens wearers may want to pay special attention to pool water water quality and possibly take extra steps to flush out their eyes after a swim. Putting lenses back in one’s eyes possibly without rinsing traces of pool water out first may allow infectious, or simply unwanted, bacteria and/or parasites to get trapped between a contact lens and a person’s eye… where it could breed, grow and basically cause problems. The good news? A properly sized and well-fitting set of goggles can really help minimize an eyeball’s exposure to tear film erasing chlorinated water and opportunistic ‘critters’ that sometimes lurk in pool water — like, for example (and we did not know this, by the way)… ‘pink eye’. The article also mentioned something in passing: Carrying a pool water test kit with you to the pool. Sure you may look like a science geek or some sort of paranoid parent at the neighborhood pool, but if the water turns out to not possess the right chemicals to keep you and your family safe, well, we think a little embarrassment goes a long way! Swimming pool water, even in the best circumstances, temporarily wipes away a vital protective barrier that our eyes rely upon to keep them ‘safe’. Therefore it stands to reason that we ought to make certain our pool water has the right balance of water chemistry (testing pool water helps with this!) and use properly fitting eye protection whenever we go for a swim! Oh, and… one more thing before we go: At the beginning of each swimming season and each time a pool gets filled up or topped off with fresh water from a well or spigot, make sure to test the quality of the fill water for things like metals, hardness, alkalinity, pH, etc. For your pool that means if you add water that has some water quality issues to begin with, then your pool water will have water quality issues, too. Thanks, ‘Kara-Lynn’, for this very good question about the relationship between pH readings and alkalinity readings when testing water. A good many people have confusion on this topic! Many years ago when we worked in a pool store that performed free water testing and (obviously) also sold a variety of pool water adjustment chemicals that raised the pH, lowered the pH, raised the alkalinity, or lowered the alkalinity levels of pool water we faced customers on a regular basis that had questions about the relationship between pH and alkalinity. Think of alkalinity as a total number of particles that can change color in a body of water. Think of pH as the range of colors that each particle could change. If color change is required: It is easier to convince a small number of the color-changing particles to change color than it is to convince a large number of color-changing particles. If color change is unwanted: It takes more effort to convince a large number of color-changing particles to change color than it does to convince a small number of color-changing particles. Higher alkalinity means greater color (pH) stability. Lower alkalinity means less color (pH) stability. Some people understood the meaning of my little story asked for more information on how they could test for both parameters since a clear relationship existed between pH and alkalinity. For those folks we suggested pool water test strips like the Pool Check 5-Way and the Pool Check 6-Way test strip products as the easiest ways to keep tabs on both the pH and alkalinity of pool water. Other people developed a blank look on their faces and simply said, “Yeah, OK, just tell me what I need to buy”… and went on their merry way. 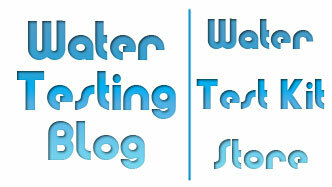 Can you use pool & spa test strips to test the pH and alkalinity of drinking water? Yes, but in general the manufacturers of pool & spa test strips calibrated those products using water with a higher temperature. 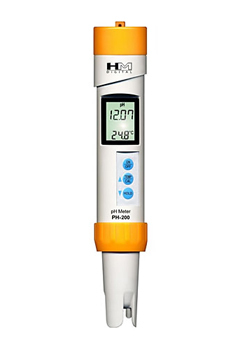 Therefore, we suggest using products specifically designed to test water with a cooler temperature such as the WaterWorks pH & Total Alkalinity Test Strips which come packaged in bottles of 50 tests for each parameter and cost less than $10 per bottle. Testing for H2O2… Same as Hydrogen Peroxide? Hydrogen peroxide does have the chemical formula H2O2… and as for whether or not it will ruin your water, well, Harry, we suppose that would depend upon what type of water you have in mind. Hydrogen peroxide functions as an oxidizer and gets used in a wide range of applications including as a wash solution used to make sure silicone wafers that go into computers contain no organic contaminants, as a toothpaste ingredient, as a food prep area sanitizing agent, as a means of disinfecting drinking water in some cases, and as a ‘shocking’ agent in pool/spa water that uses a biguanide sanitizer. As for the pH of hydrogen peroxide (aka: how acidic or basic hydrogen peroxide is), that depends on the concentration of the hydrogen peroxide. At different concentrations dissolved hydrogen peroxide has different pH values. You may not, however, assume that you can draw a direct relationship between the pH of a water sample and its hydrogen peroxide concentration in all cases. If you want to test for hydrogen peroxide levels/concentrations in water between 0.5ppm and 100ppm we suggest taking a look at the WaterWorks Hydrogen Peroxide Test Strips. Fast testing times and, in our experience, accurate results. For those curious as to WHY a person would have interest in a fast, easy-to-use and accurate test strip for dissolved copper, pH and total alkalinity, the answer lies with pools, spas and water features (i.e. decorative ponds, coy ponds, fountains, etc.). In water samples from each of those three water environments a person could very easily expect to find traces of dissolved copper. Copper in Swimming Pools – Dissolved copper in swimming pools may come from a number of sources including, but not limited to, copper based algaecides and algistats, normal wear and tear on a heated pool’s heating element, and/or from source water used to replace water lost due to intentional draining and evaporation. Copper in Hot Tubs & Spas – One could expect to find dissolved copper in a hot tub or spa due to the natural wear and tear on its heating element. Also, in the case of outdoor spas and hot tubs we have heard that some, but not a whole lot, of people employ the use of copper based algaecides to ward off algae attacks in tubs that do not get used on a regular basis. Copper in Water Features – In an effort to retard and or prevent the growth of algae in water features — many of which do not have the protective benefit of sanitizing or disinfecting chemicals due to the presence of organics (plants, fish, etc.) — owners of water features will often use small amounts of copper based algaecides/algistats. Not keeping a watchful eye on the dissolved copper could have a seriously detrimental effect on plant and animal life if levels get too high. Now that we know why people would want to test for copper in water, some of you probably want to know why anyone would find it desirable to also test for pH and total alkalinity at the same time. The answer to that question lies in the relationship between copper as a solid metal and the effects of pH & alkalinity on that solid metal when either parameter drifts out of the acceptable range. Water with incorrect pH and/or alkalinity becomes more corrosive than properly balanced water and will eat away at (dissolve) most metals at a much faster rate. In pools, spas and hot tubs corrosive water will target the copper heating elements of water heaters and pull copper metal ions out of them. If not watched closely water with improper pH and/or total alkalinity can very easily shorten the lifespan of copper heating elements in swimming pools and hot tubs to a mere fraction of what one would normally expect… and if they go bad unannounced, well, the cleanup & repair — especially for indoor hot tub owners — could very easily wind up costing a whole heck of a lot more than monitoring and balancing the dissolved copper, pH and total alkalinity levels in the first place! Other reasons to monitor copper, pH and alkalinity levels? While the untimely and expensive demise of heater elements certainly should make a good enough case to encourage folks like us to perform regular testing for dissolved copper, pH and total alkalinity, other folks out there may need a bit more convincing… so try THIS on for size: Dissolved metals (i.e. and especially copper) will drop out of solution and stain pool/spa/feature surfaces if the pH and/or alkalinity strays too far out of range! To make matters worse, getting those stains off surfaces typically takes a good amount of time, physical labor (elbow grease! ), and metal stain removal chemicals. Testing for copper in source water? Earlier we mentioned that water used to fill a swimming pool, hot tub or water feature may contain dissolved copper… and we meant what we said. Some well water and even some municipal/city/tap water may contain dissolved copper so it makes sense to always test your source water for quality before blindly adding to your pool, spa or water feature. AND it REALLY makes sense to make sure you test for the presence of heavy metals (i.e. copper, iron, etc.) before adding strong oxidizers like chlorine or bromine because the addition of those chemicals causes a sharp change in the water’s pH and alkalinity levels… and as stated earlier this could cause the metals to fall out of solution (form precipitates) and potentially stain surfaces. Does Reverse Osmosis Make Water Acidic? Another misconception about reverse osmosis deals with the notion that reverse osmosis always makes water acidic. While certainly true that reverse osmosis tends to reduce the pH of a water supply, if the source water starts out with a high pH then the possibility exists that the reverse osmosis filtration process could actually correct the pH level back to neutral (approximately 7). If your source water has an inherent low pH then your water may start to slowly, or quite rapidly in some cases, cause your plumbing and fixtures to begin corroding. 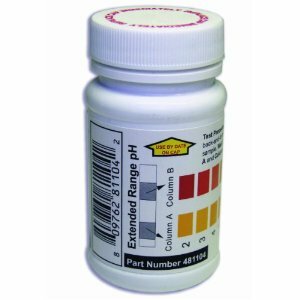 You will not know if you have a pH problem unless you test your water’s pH using simple ‘dip and read’ test strips or an electronic pH Meter. – Water with a pH of 7.0 has a neutral, meaning not acidic and also not basic, pH. – Water with a pH greater than 7.0 will more than likely exhibit basic, or alkaline tendencies. – Water with a pH less than 7.0 will more than likely exhibit acidic tendencies. Note: We used the phrase ‘more than likely’ just now because certain water conditions can render acidic or basic water less corrosive than expected, but as a general rule the further away from 7.0 that the pH of source water strays, the more destructive that water will become. 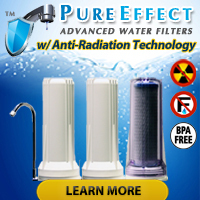 More than likely if you have issues with acidic water in your home or office you will want to treat your water using a point-of-entry device (such as a whole house water filter) rather than a point-of-use water filter (like a faucet, under sink or counter top water filter). Treating the water before it passes through your plumbing should help to prolong the life of your pipes and plumbing fixtures. 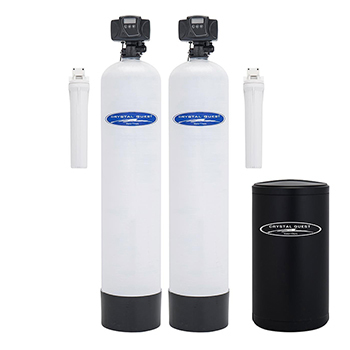 A whole house system such as the Crystal Quest Dual Tank Water Softener and Acid Neturalizer System offers a combination of a 20″ sediment filter, ion exchange water softening, an acid neutralizing media tank, and a 20″ solid carbon block filter. While the purposes of acid neutralizing tank and water softening tank probably need no explaining, the purposes of the 20″ sediment filter and 20″ solid carbon block filter may. By removing (unwanted) solids from the water the 20″ sediment filter will not only improves the quality of the water, but it also helps to prolong the life of the other filter components by preventing clogging. This should also mean fewer required backwash cycles, as well, for the system. The 20″ carbon block filter reduces and/or removes volatile organic carbon compounds (VOC’s) such as insecticides, pesticides and industrial solvents — if present in the source water. Many reverse osmosis units these days come with the option of having a pH correcting ‘remineralizer’ post-filter installed for a very low cost. These inline filters put back desired minerals that make water taste like, well, the water we like to drink rather than flat tasting heavily filtered water and also adjust the pH back to around 7.0. Before installing ANY water treatment system ALWAYS have water tested thoroughly so that you don’t accidentally purchase (and install) a water filter that treats your water for the wrong issues.